2012 is just about over. I thought this would be a good time to take a look back at this year and welcome our new clients and thank our repeat customers. We had a banner year (no pun intended!) this year with our best sales ever. Although we would love to say that it was due to the economy picking up, I fear that may not be the case. We’ve welcomed many new clients to our list including new businesses, existing businesses that have moved or changed names or branding. But our standout clients this year were our loyal repeat customers like Ryan Development, PrimeTime Communities, Massachusetts Convention Center Authority, Concord Oil, MLE, McQuesten, Bodyscapes Fitness, and hundreds more. 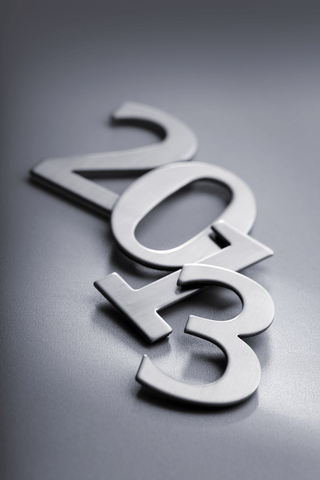 Of course we hope that 2013 is a more active year for new business startups, but only time will tell. I believe that the slow economy along with more difficulty getting financing by banks has reduced the number of start ups that we’ve seen during previous recessions. I’ve been in the sign business for 13 years and we have survived the dot-com bust, 9/11, and most recently the Great Recession. In previous recessions or economic down turns, we’ve always done well as our customers actually spend more on signs and advertising to keep up with or ahead of the competition. Furthermore, we’ve seen clients who were laid off from their jobs take the time off as an opportunity start a business of their own. Of course back in 2000 – 2003 it was much easier to borrow equity in your home, sell off stocks, borrow from your IRA, or get help from a bank to launch a new company. Not so this time around. Business loans from banks are difficult if not impossible to obtain. Peoples IRA’s and 401K’s have lost so much value that people are afraid to borrow on them. Home values have plummeted to where many are upside down and have no equity in their homes to borrow. I believe many of us with great ideas just can’t get them off the ground due to lack of funding. There are of course those brave souls who decided to take the chance anyway. Most recently a couple of our clients; IM Wireless and Family Eyecare, have taken a risk and moved their businesses to the new Cornerstone Square in Westford. Sugar Cupcake Shop moved to Chelmsford Center (our original sign shop location). Others like Bixbites, DollarMania, Camp to Castle, Achieve Taekwondo, MyTown Sports, MA Solar and CK Mobile Bike Repair have taken the risk and opened new business ventures. We wish them all the best of luck. And who has not noticed FroYo places opening on every corner! Some of our biggest clients have always been schools and municipalities. The University of MA Lowell, Fenn School, Middlesex School, Westford Academy and Lowell Public Schools have all continued to be great clients regardless of the recession. The City of Waltham continues to be one of our best clients as has the Chelmsford Water Department and many others. We’ve had to be a bit more creative with some of our clients such as schools and municipalities to provide them with cost-effective, long lasting products that fit their budgets. Full color digital printing and new more cost-effective substrates have allowed us to provide them with quality signs that will last for years while saving them money. We recently worked with Barr + Barr to provide all of the signs at the new parking garage at UMass Lowell’s north campus. This was a great project for us and allowed us to show our ability to work as a team to meet the architects design requirements while working within the schools new sign design requirements and meeting the budget of the General Contractor. This project highlights Express Sign & Graphics, Inc.’s flexibility, knowledge and timeliness. We are very proud of our internal team and external vendors for helping us make this project a great success! Many of our other clients (over 500 this year) have been customers for many years and rely on us for help with tradeshow signs, sale signs, truck lettering, posters, price changes, interior signs, magnetic signs, banners, parking signs, construction site signs, real estate signs, A-Frame signs and so much more. We appreciate your business and thank you all for your confidence in us. Our goal for 2013 is to continue to work to make our service faster, friendlier and easier than ever. Our company motto is “Signs as Easy as 1-2-3” and our goal is to continue to work to meet that motto through an easier to use website, more new product offerings, easier ordering and more. Stay tuned to learn more as we introduce these improvements. Happy New Year and Best of Luck to all of you in 2013.